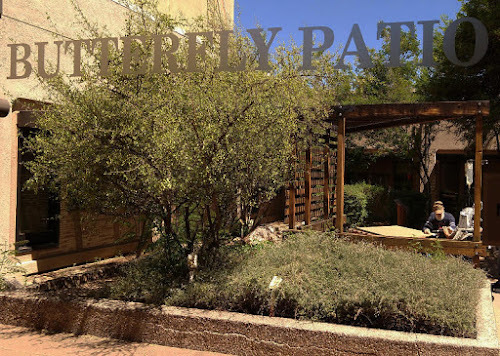 Photos, maps, and often a story about Tucson's small parks ("parklets")... often too tiny to appear on a map... as well as some hidden nooks that are great places to take a break from the sun (or from a busy day). Where can you find 10 or 20 parklets within a couple hundred feet of each other? 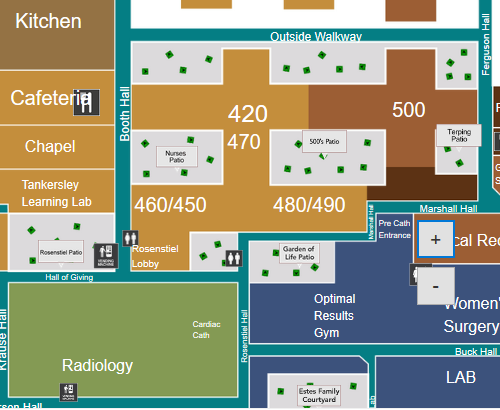 That would be the main hospital building at Tucson Medical Center. Most of the patient rooms surround landscaped interior patios, and all of those patios are accessible from the main hospital hallways. Some patios have a theme. 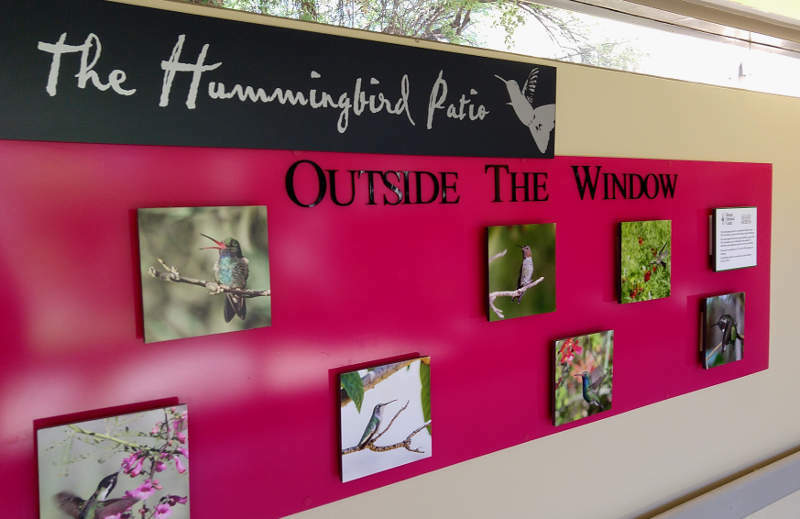 For instance, the Hummingbird Patio is designed to attract hummingbirds; there's information along the wall inside. As time goes on, more patios are being landscaped in special ways — thanks to TMC Foundation donors. If it's a hot day, TMC is a place to come for the great art that's being added along the hallways — again, thanks to donors. A curator chooses the art, and it's high-quality. I took the photos on May 25, 2018. The website screen shot was made January 29, 2019. LOCATION: The main hospital building, north of Grant between Beverly and Craycroft. The entrance at the southwest corner is almost directly across the street from the parking garage, but it's closed at night. HOURS: 24 hours (though Security may ask questions if they spot you wandering the halls late at night). A fair number of patios are unlit, and remember that there are patients trying to rest in the rooms surrounding some patios. PARKING: During days and early evenings, you'll probably have the best luck at one of the parking garages. 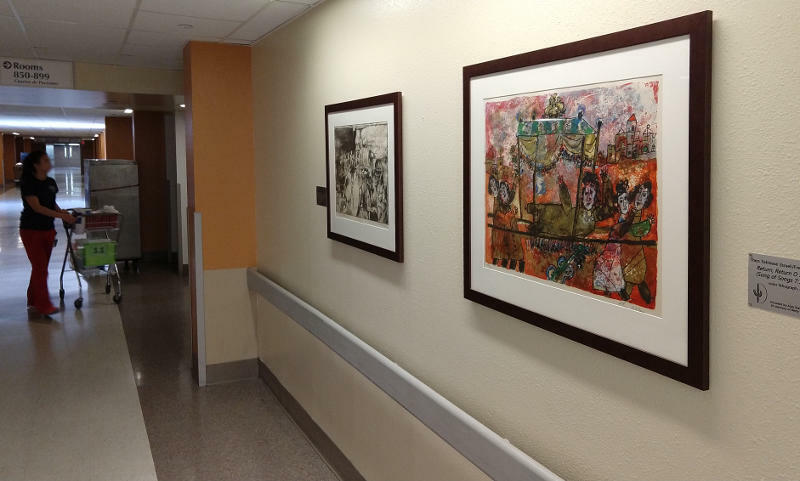 The small surface lot near the southwest entrance is best left for Emergency Room patients.